The opportunity to meet, talk, share personal experiences and swap information with people who understand. 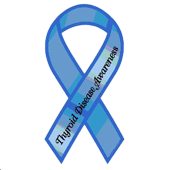 Personal advocacy: For thyroid patients who are finding it difficult to access appropriate treatment or to go with patients to important appointments. With an up-to-date information booklet for their disorder and made available for all those diagnosed and their families. With an opportunity to fundraise in support of New Zealand research by forming a New Zealand Thyroid Trust.